There is no doubt that my cat, Teddy, is part of the family. He is also the boss of the house, a fact he enjoys making known to all by walking across my desk during video calls. Like many of you, we’re one of the nearly 85 million American homes that bring in furry, feathered, or scaly friends into our lives. The pet industry is booming with over $72 billion spent on our pets in the U.S. alone this year. But this growth has come with a host of challenges for pet food manufacturers. For example, pet owners are increasingly concerned about quality and want to know what’s in their pet’s food. But labels and vague claims often leave them confused or overwhelmed. Even a seemingly straightforward claim, such as “all natural”, means different things to different people. Combine that with internet influencers with varying degrees of expertise, and it’s no surprise some in the pet food industry feel they’re fighting a battle on multiple fronts in the name of transparency. The pet food industry is in the process of creating a new normal for transparency, which will require quality teams to modernize their systems and practices, as well as remove obstacles to collaboration with departments such as product development, regulatory, marketing, and legal. Compliance: The U.S. FDA regulates pet food like human food, heightening the regulatory burden on manufacturers. The FDA “requires that all animal foods, be safe to eat, produced under sanitary conditions, contain no harmful substances, and be truthfully labelled.” The Food Safety Modernization Act (FSMA) of 2011 modernized and strengthened antiquated, 70-year-old food safety laws by shifting to risk-based proactive measures known as preventive controls. Pet food manufacturers must follow current Good Manufacturing Practices (cGMPS) to prevent adulteration and misbranding of pet food products. With immediate broadcasting online and through social media, safety recalls and product quality issues are guaranteed to get out fast, immediately impacting brand trust. Transparency: Consumer brand trust is developed through product effectiveness, consistent quality, cost, and shared values. One bad experience can impact an entire brand. 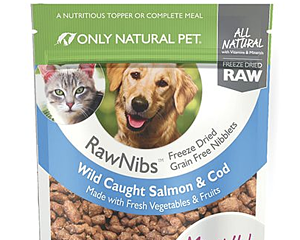 Just look at Canadian-based Menu Foods, once the largest producer of pet foods in North America, whose 2007 recall involved over 60 million units of pet food costing $42 million and an additional $24 was paid out in litigation. After share prices plummeted, the company was bought out. In this increasingly competitive landscape and era of instant information, it’s more critical than ever that pet food manufacturers ensure they stay ahead of any issues and be proactive in their messaging and response. Supplier Management: With an ever-expanding supply chain, supplier visibility and traceability has never been more important for the pet food industry. Yet the legacy tools most of these brands use to collaborate with external manufacturers and suppliers (mainly Excel and email) offer little to no visibility or traceability. This is especially risky since a supplier’s or contract manufacturer’s low quality or product consistency most directly impacts the consumer-facing brand. Just this week, more than 11 major brands sourcing from the same manufacturer showed toxic levels of Vitamin D and are facing a recall. Pet food manufacturers need clear communication and invest in a shared platform for collaboration with their external partners to understand what’s happening real-time and ensure their requirements are being met. Scalability: As a pet food manufacturer grows its product line or moves into new markets, the ability to scale while maintaining quality is imperative. These manufacturers must plan ahead to ensure they don’t outgrow controls and processes. This includes putting appropriate resources and scalable technology in place to set their teams success. Quality is a critical component in differentiating a pet food brand from its competitors. Veeva QualityOne is committed to improving the way these organizations manage their content and quality processes. Contact me to learn more about how our complete and easy-to-use quality management and document control application can help your organization achieve the agility it needs to stay competitive and compliant.